Many are initially drawn to Argentina to experience the sights and sounds of its capital, Buenos Aires. This loud and lively city with its grand architecture and vibrant culture captivates all those who go there. Nevertheless, outside of Buenos Aires, Argentina’s geographical diversity means that it boasts some of the most beautiful and awe-inspiring natural landscapes in South America. While it feels like there are too many to count, here’s a list of what we consider to be among the top 5 attractions in Argentina outside of the capital. 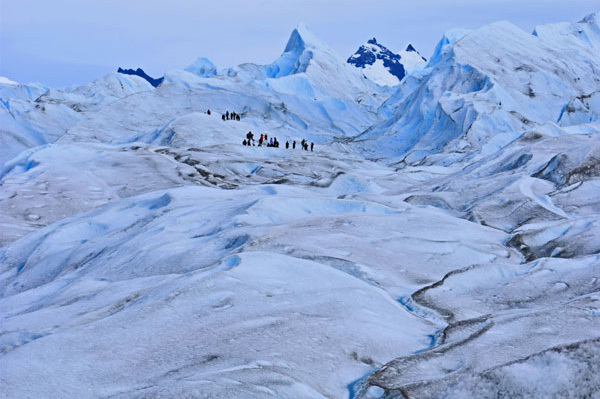 In the very south of Argentina, a visit to Patagonia with it’s wild, open landscapes and jagged ice fields offers a once in a lifetime opportunity to get up close to the second largest body of ice in the world. Those who come to the area mainly stay in the towns of El Calafate and El Chaltén in order to see the incredible Perito Moreno glacier and Mount Fitz Roy, a 3,400m - high jagged peak surrounded by walking and activity trails. These sites have become much more accessible and traveller-friendly as tourism has expanded in the area, with trails and walkways around the Perito Moreno Glacier, cruise boats offering trips around Lago Argentino to appreciate the glacier more closely and good-quality hotels offering you the chance to experience this breathtaking scenery at your own comfort and leisure! 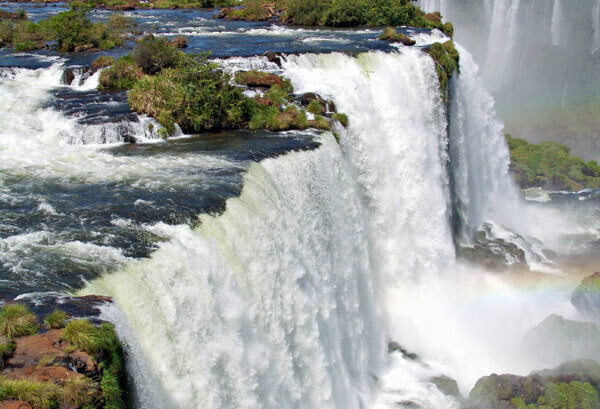 At the other extreme of Argentina, on its northern border with Brazil lies our second jaw-dropping attraction outside of the capital, the Iguazú Falls. In complete contrast to the barren and empty landscapes of the south, these powerful waterfalls are surrounded by green, luscious rainforest brimming with birdlife, exotic plants and wildlife. Here too, wooden walkways weave their way around the falls offering visitors the chance to get up close and personal with the thundering waterfalls, while for those who don’t mind getting wet, motor-powered boats drive groups of visitors close to the base of the falls for an exhilarating and slightly hair-raising experience! Aside from visiting the falls, wildlife tours can be taken to learn more about the wealth of different species in the area while a trip to the impressive Itaipú dam, on the Brazilian side of the border, will show you how this powerful river is being used to generate electricity for Paraguay and Brazil. Third on our list are the lesser-known Esteros del Iberá wetlands, in the neighbouring province of Corrientes. 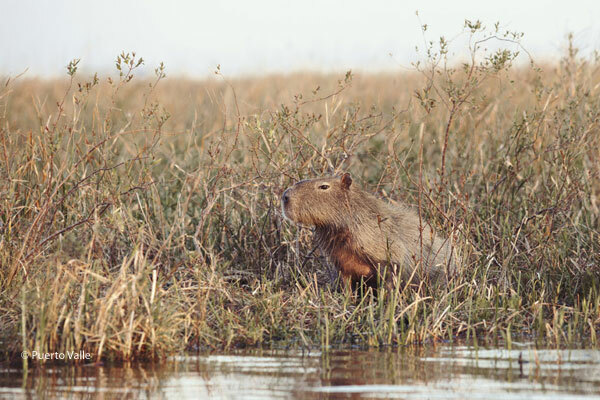 As the second largest body of fresh water on the planet, after the Pantanal, it is home to a huge abundance of wildlife including capybara, pampas deer, caiman, anacondas, as well as over 320 species of birds. If you’re looking to immerse yourself in nature and your surroundings, this unspoilt area will also offer you the opportunity to get out-and-about walking, cycling and horse riding. 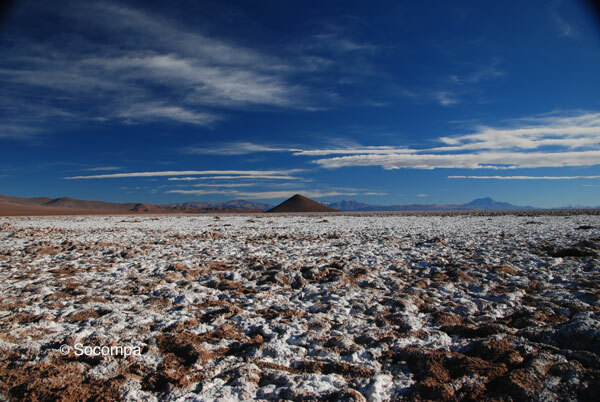 Also in the north of Argentina but on the western side, close to the border with Chile and Bolivia, is our fourth attraction, Salta and Northwest. Capital of the northwest, the population of Salta is largely made up of descendants from Argentina’s indigenous population, giving it a different feel to other cities in Argentina. Using Salta as a base you can then explore the beautiful surrounding area with its reddish hills and adobe villages. The famous Cerro de los Siete Colores, north of Salta in Purmamarca, is an astounding natural wonder, while the Valles Calchaquies driving circuit not only offers you the chance to get off the beaten track and to explore on your own, but takes you on a whirlwind adventure through an astonishing variety of different scenery, including flat tobacco plantations, high altiplano, cacti forests and deep red canyons! Last on our list, but definitely not least, are the Mendoza wineries. 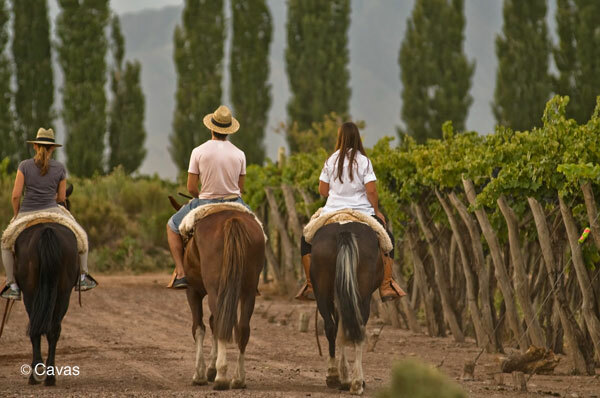 Given that 70% of Argentina’s wine is produced in this region, visitors can happily spend entire days lazily moving from vineyard to vineyard around the area and sampling their produce! Many vineyards offer gourmet tasting menus, the Clos de Chacra’s being one of the most delicious in our opinion. If you happen to visit the region between January and March, you might come across a few of the lively Fiesta de la Vendimia celebrations, held annually to celebrate the grape harvest, when wine flows freely and live folk music and dancing can take over the streets. We hope our list has given you some food for thought.. for more inspiration and ideas about how you could incorporate visiting some of these attractions into your trip, why not take a look at our itineraries page or get in touch.